In a new report on “household indebtedness and financial vulnerability,” the Parliamentary Budget Office (“PBO”) has provided calculations on how increased interest rates would affect debt service costs for Canadian consumers. The PBO report assumes that the effective mortgage interest rate would rise from 2.9% as of Q1-2017 to 4.8% by the end of 2021 and the average rate on non-mortgage debt would rise from 5.4% to 7.6% over the same period. In the PBO scenario, the overall debt service ratio of Canadian consumers would rise from 14.2% to 16.3% (expressed as a percentage of personal disposable income). This would be a severe increase in debt service costs (it would exceed the highest level that has been seen in the past 27 years, which was 14.9% for just one quarter in 2007). If this scenario of a rise in interest rates (by about two percentage points) comes to pass and if there are no mitigating factors, this outcome would indeed be quite challenging to many consumers and it could very well impair the broader economy. Yet, these two ifs provide two important caveats for understanding the PBO report. The PBO report considers just one scenario, in which interest rates rise quite sharply. Since there is just one scenario, it looks like a forecast, which makes it tempting to see this as an event that is highly likely to occur. In reality, this is a “what-if” exploration, and not an event that is guaranteed to occur. There are many other possible scenarios that would yield different estimates of impacts. I have two ways of looking at the PBO’s scenario for interest rates. The first is that it looks a great deal like the interest rate forecasts that have been published by the major banks during the past decade: repeatedly, those forecasts have pointed to increases of about 1.5 to 2 points during the coming 1.5 to 2 years. Although they have been consistently wrong so far, their forecasts are still following that pattern. The second is that the PBO has not produced a strong argument for its forecast: “the Government of Canada 10-year benchmark bond rate was projected to increase from 1.7% to its long-run level of 4.0% by the end of 2021.” They seem to be making a “reversion-to-the-mean” argument, which is a last-resort argument that some analysts make when they can’t come up with a real argument. In a different PBO report on the economic and fiscal outlook, there is commentary that “we have also revised upward our outlook for Canadian long-term interest rates, reflecting higher-than-anticipated U.S. long-term rates.” There is certainly no argument within the PBO reports that supports the large magnitude of the expected rise in interest rates. The Canadian economy has been muddling-through since the recession. Following an extended period of exceptionally low interest rates, there is no evidence of incipient pressures for reflation. Economic indicators have strengthened during the past year, and there may now (or in the near future) be some room for moderate increases in interest rates, to forestall future inflation. But, any sharp rise in interest rates, such as the PBO scenario, would dampen consumer spending and business investment, especially in relation to home buying as well as investment in new buildings (residential and non-residential), which would impair the broader economy. It seems most likely to me that even if rates increased substantially, the increases could not persist, and thus a realistic scenario for sustained higher interest rates should be less severe than is assumed by the PBO. The data used by the PBO on debt service costs is “obligated” payments ¾ for mortgages, the payments required based on the contracted amortization periods, and for other debts, the minimum monthly payments. But, we know that most mortgage borrowers pay more than they are required to: Mortgage Professionals Canada’s fall 2016 report on the residential mortgage market estimated that Canadians are making actual mortgage payments totalling $105 billion per year. By contrast the data used by CBO assumes that they are obligated to pay $76 billion. The difference of almost $30 billion is voluntary excess payments. This gives the mortgage borrowers a huge amount of room to make adjustments in the event that higher interest rates result in increased obligated payments. In fact, this $30-billion cushion is enough to accommodate the PBO scenario: even if required payments increased by the amount the PBO assumes, the current actual level of actual payments is sufficient (in aggregate) to meet those obligations. The second mitigating factor is that at today’s low interest rates, mortgage principals are being repaid very rapidly. In the borrower’s first payment, more than one-half is principal repayment. During the first five-year term of a 25-year mortgage, about 15% of the principal will be repaid (if only the minimum required payments are made). In the event that a renewing borrower is unable to afford a higher interest rate, there should be room to reschedule payments, as an alternative to default. To conclude, yes, it is true that interest rates may be higher in the future. Yet, it seems unlikely that the increases in interest rates will be anywhere near as large as is assumed by the PBO scenario of a 4.9% mortgage interest rate (as well as by the mortgage insurance stress test, at 4.64%). We don’t know what will happen to interest rates. But, we do know that there is a great deal of resilience within consumers’ financial situations. 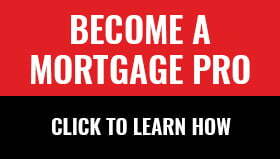 Previous ArticleIs the Bank of Canada signalling that more mortgage rule changes are coming? Will Dunning is the Chief Economist for Mortgage Professionals Canada, as well as operating his own consulting firm, which specializes in analysis of housing and mortgage markets. For Accredited Mortgage Professionals, his presentations on “Analyzing and Understanding Canadian Housing and Mortgage Markets” qualify for 1 CEU credit in the compulsory category.